PISCATAWAY, N.J. — Coming off their worst game of the season, No. 7 Michigan did almost everything right to give coach John Beilein a school record-setting win on his 66th birthday. 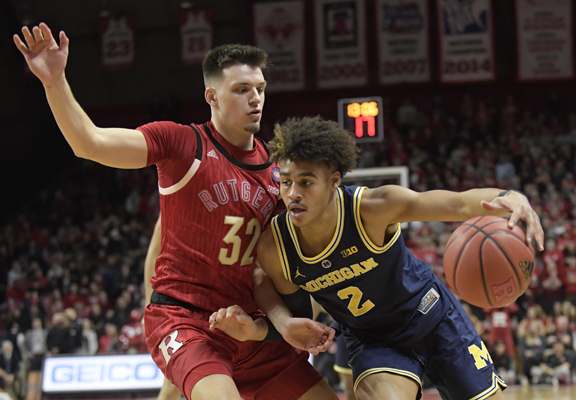 Beilein referred to the win on his birthday as boring, and added he would cherish it for 10 minutes before looking at statistics for this weekend’s game against No. 19 Wisconsin. Simpson added 14 points, seven assists and seven rebounds as the Wolverines bounced back from a dreadful performance in a 74-59 loss to Iowa. Jordan Poole added 15 points and Charles Matthews had 11 in giving Beilein his 121st win in the conference for Michigan, a school record. He share the old record with Johnny Orr.